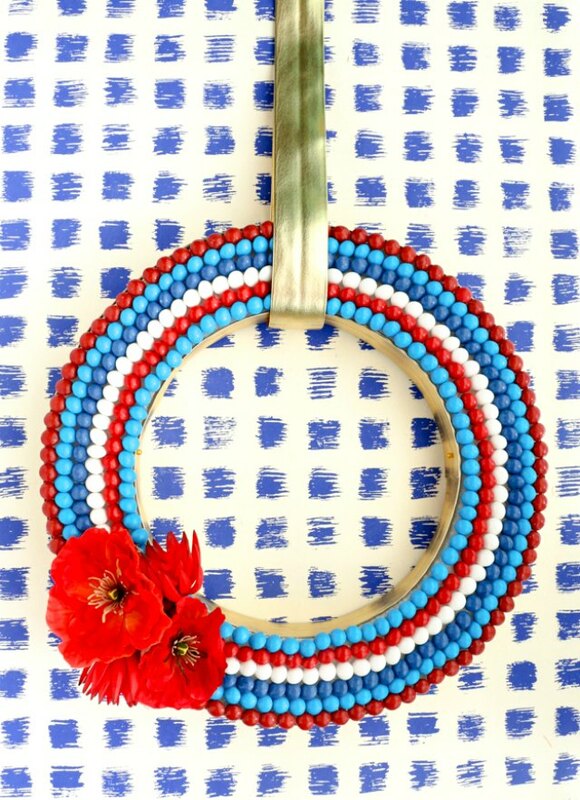 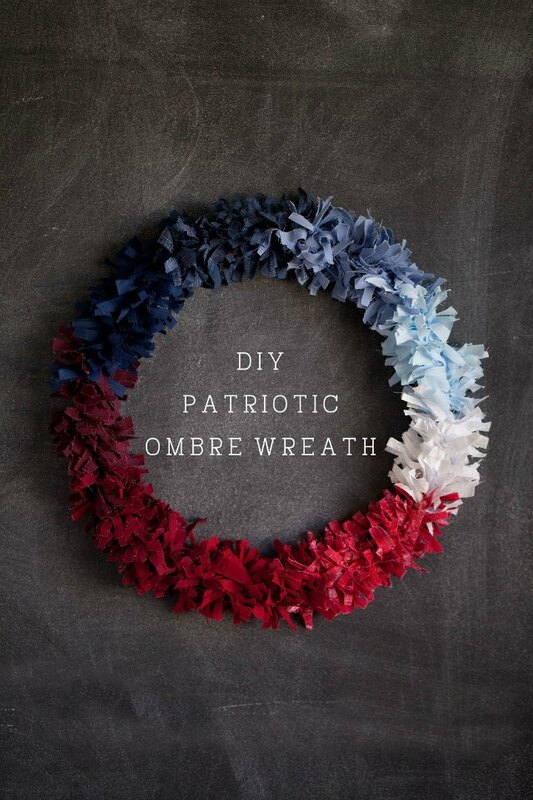 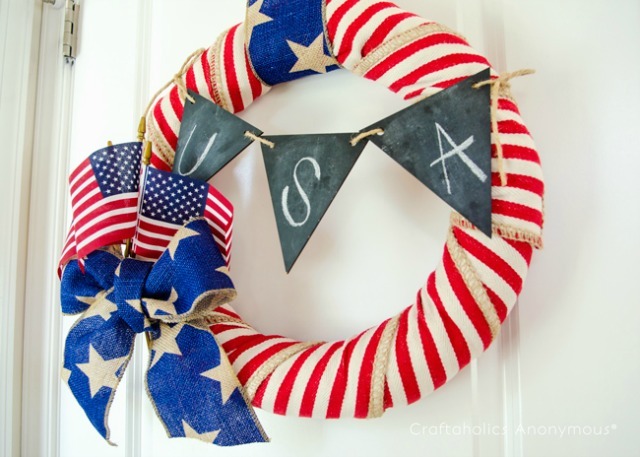 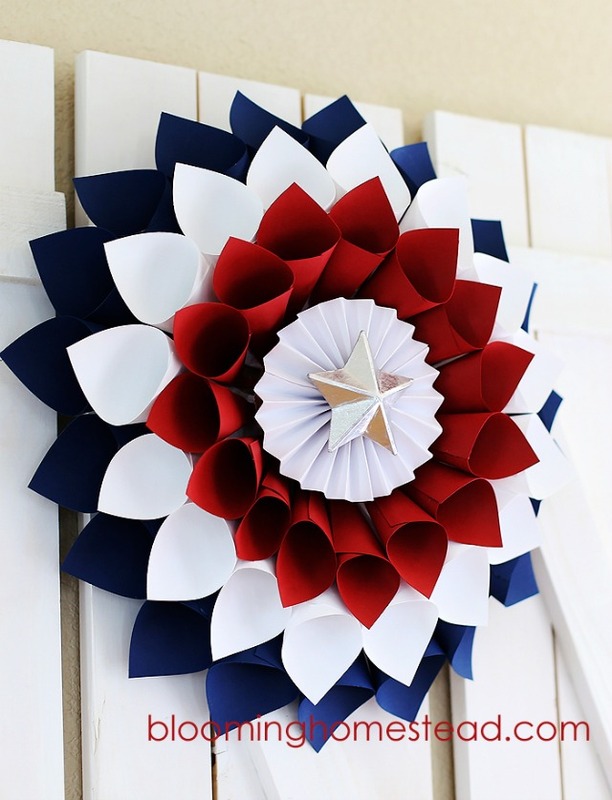 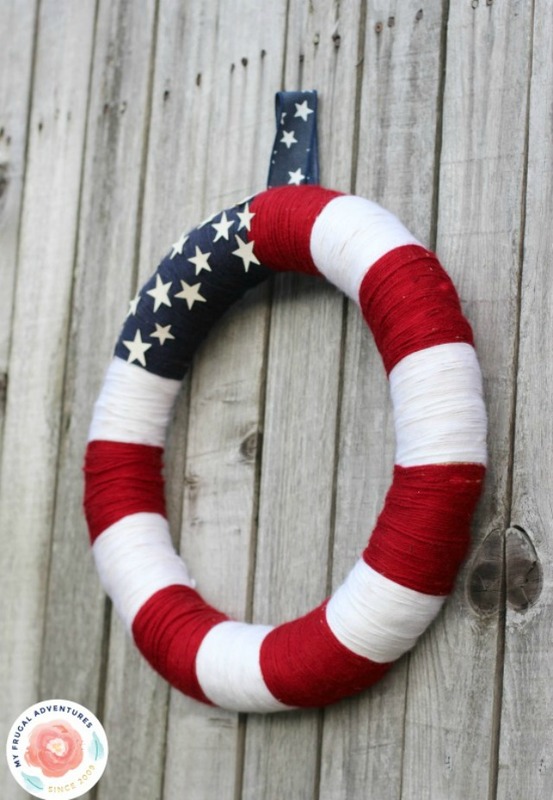 Fourth of July is right around the corner and we have rounded up our favorite DIY patriotic wreaths to help you celebrate the holiday. 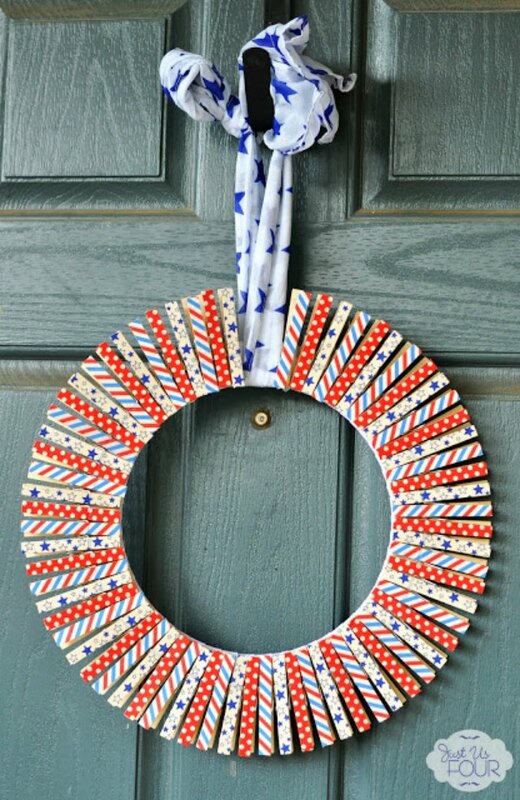 From clothespins to cupcake liners, no two wreaths are the same and most can be made with items found around the house. 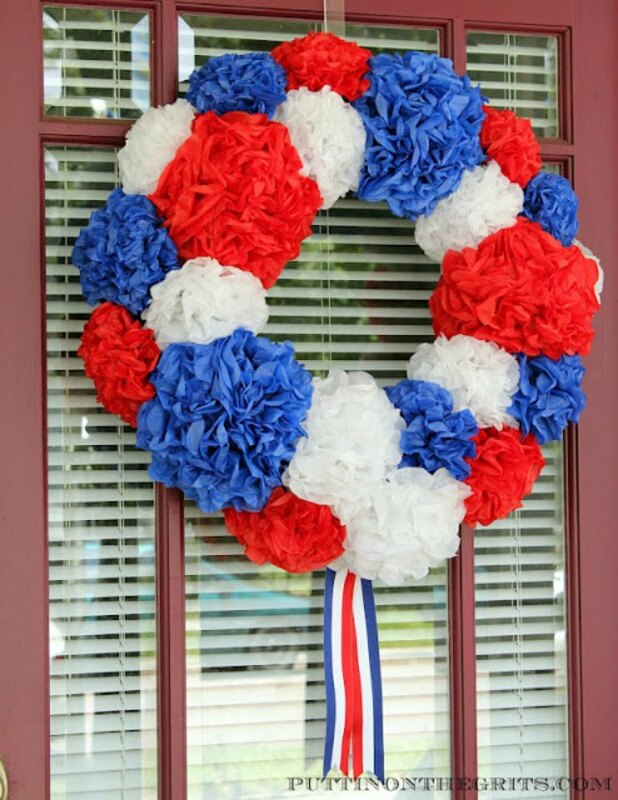 Instead of the using the typical wreath form and ribbon, try building your wreath with a pool tube and decorating it with skittles! 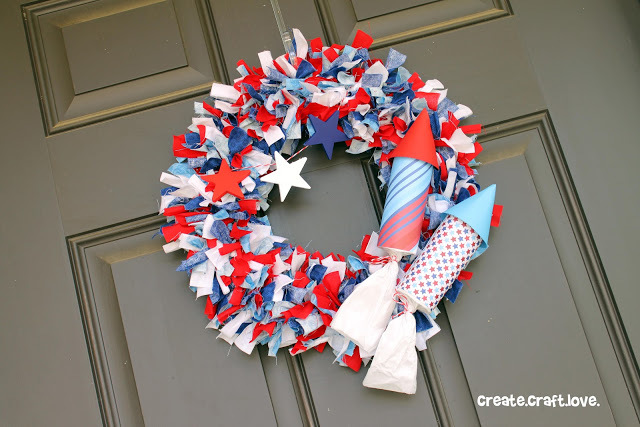 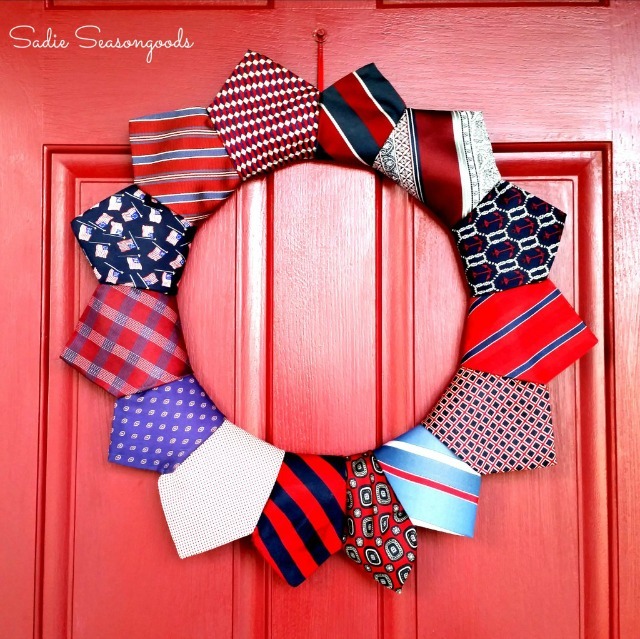 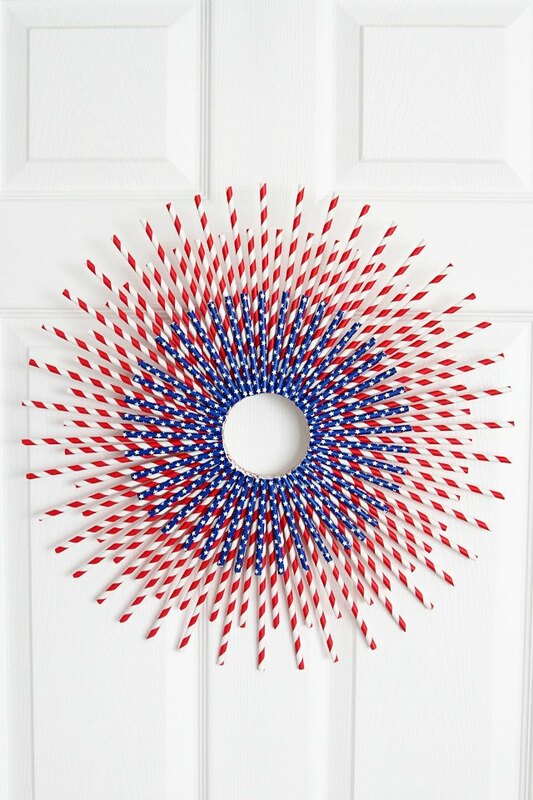 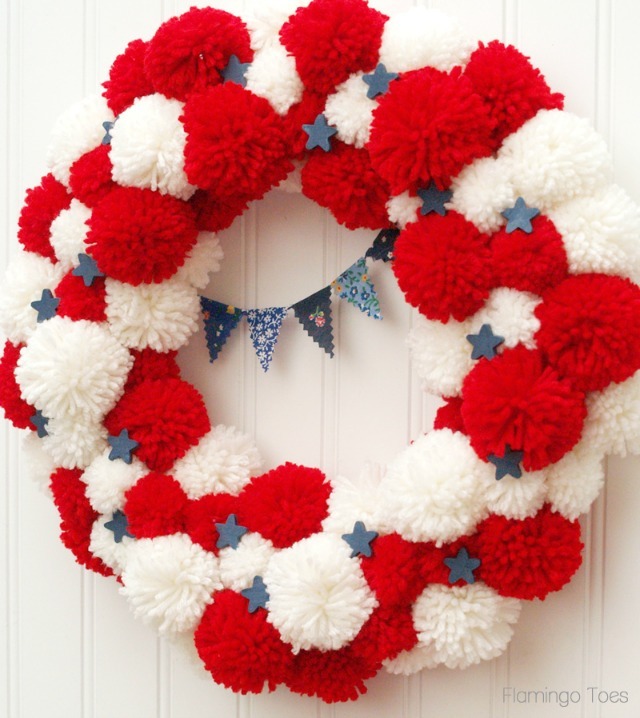 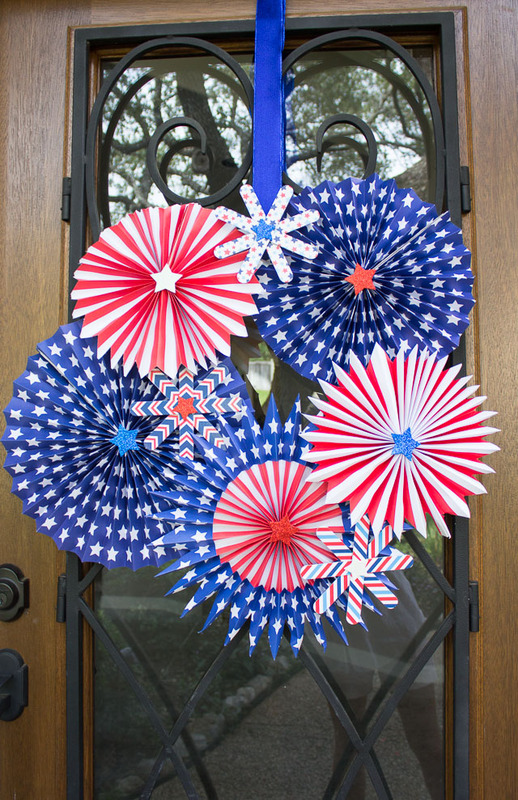 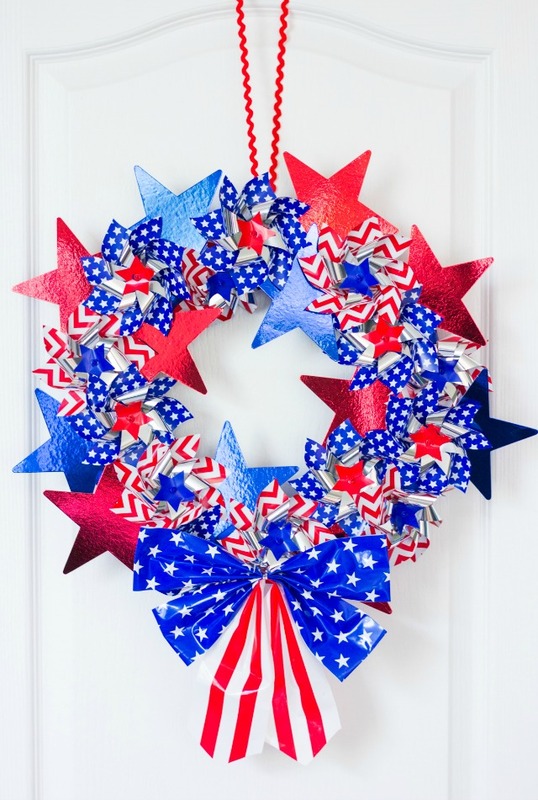 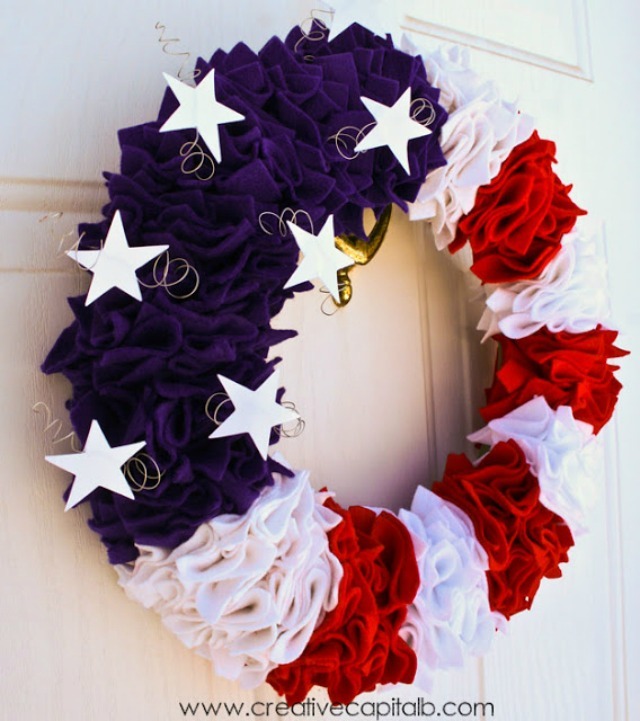 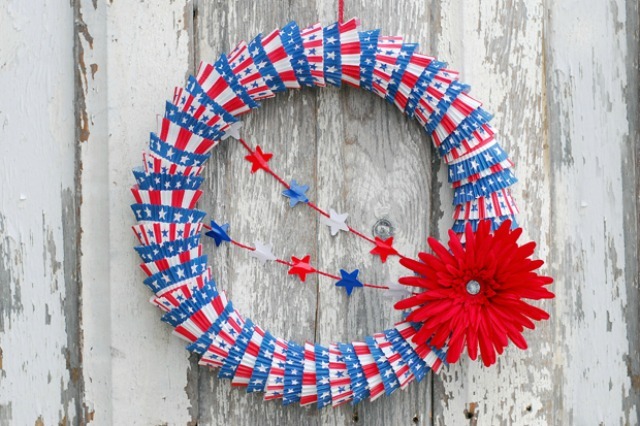 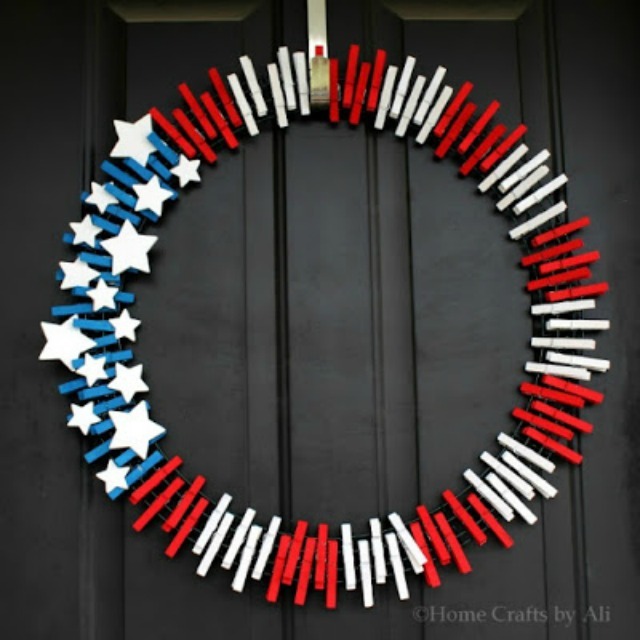 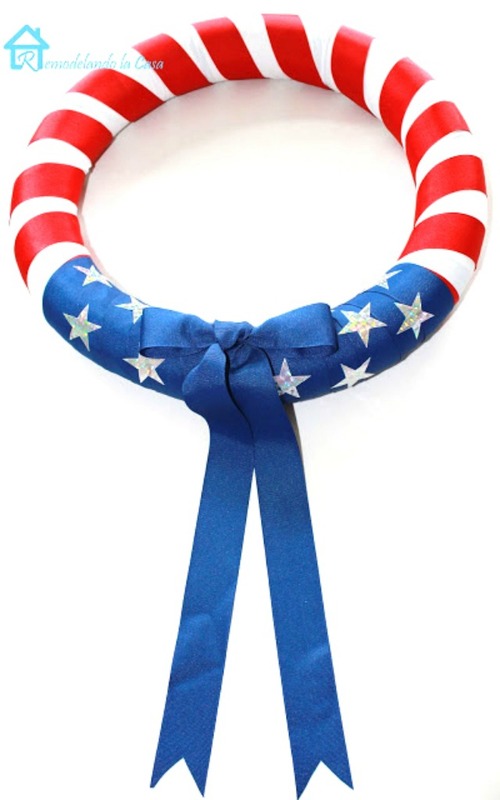 Read on for 17 inspiring wreaths that will make your front door the star of the neighborhood this 4th of July!